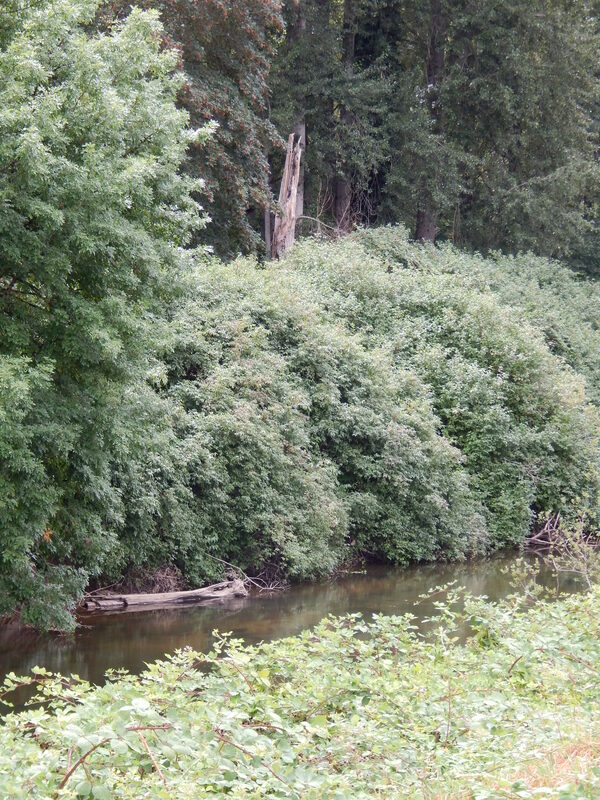 The Green River Trail winds around past the Kent housing development that borders the river and the trail. I parked further south than I left off last week and headed north to get back to that point. Had to make sure my quest is totally completed. 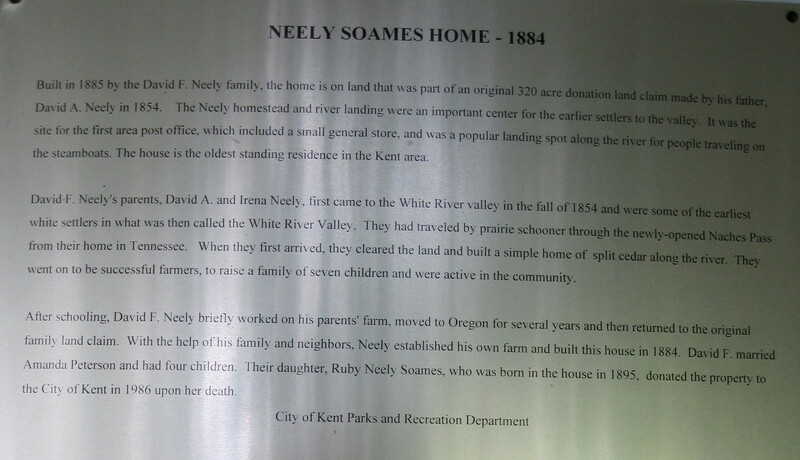 Along the way I came upon the Neely Soames Home Park. This is a little park inside that housing development that borders the trail and are all a uniform light-color. 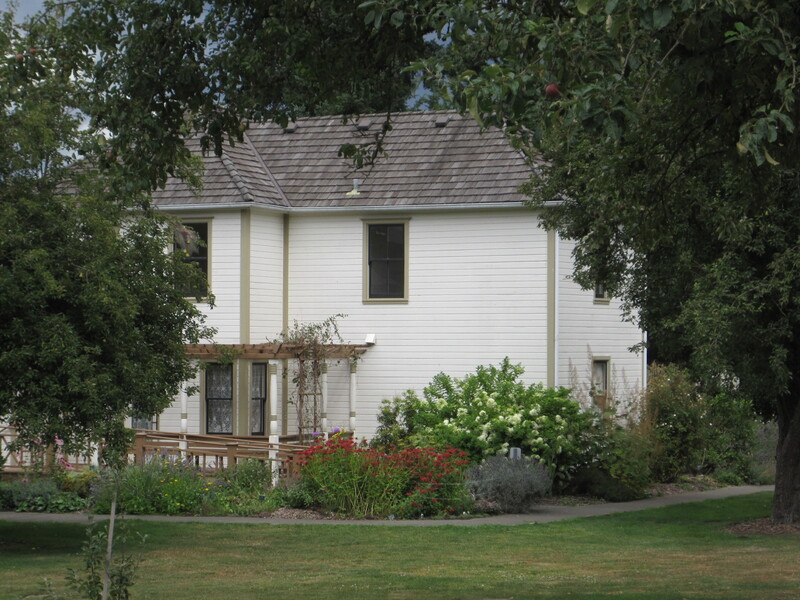 This homestead was built in 1885 on the original Neely claim from 1854. 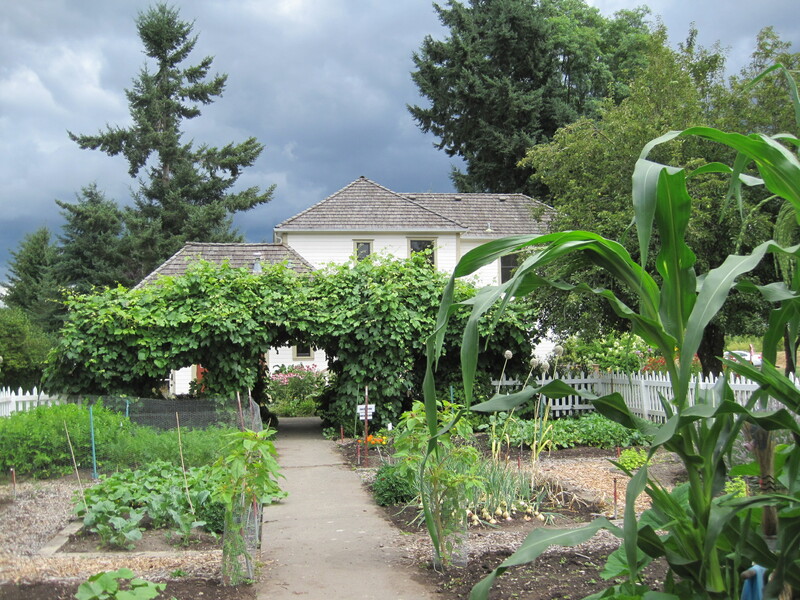 It is the oldest house in Kent, Washington and was donated in 1986 to the city by a daughter born in the house in 1895. 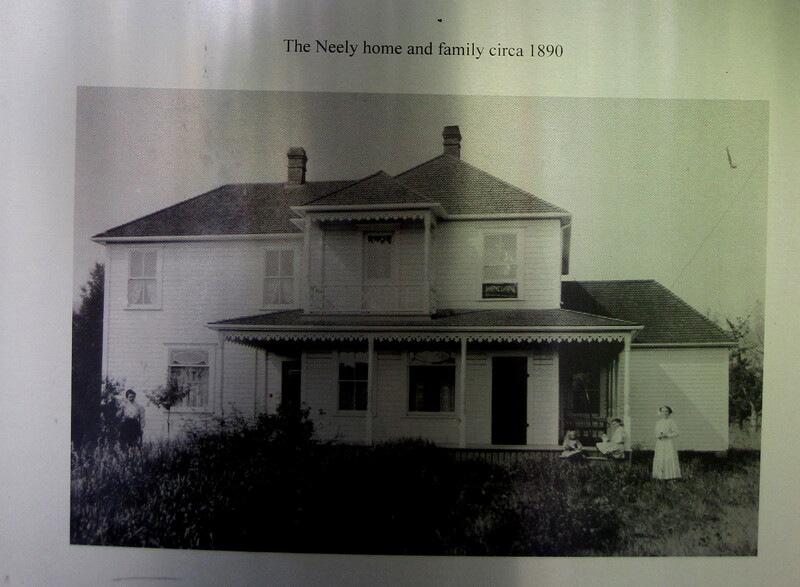 Here are two photos of the plaque at the front door telling the story and showing the house around 1890. As you can see the house looks pretty much the same with some minor changes. 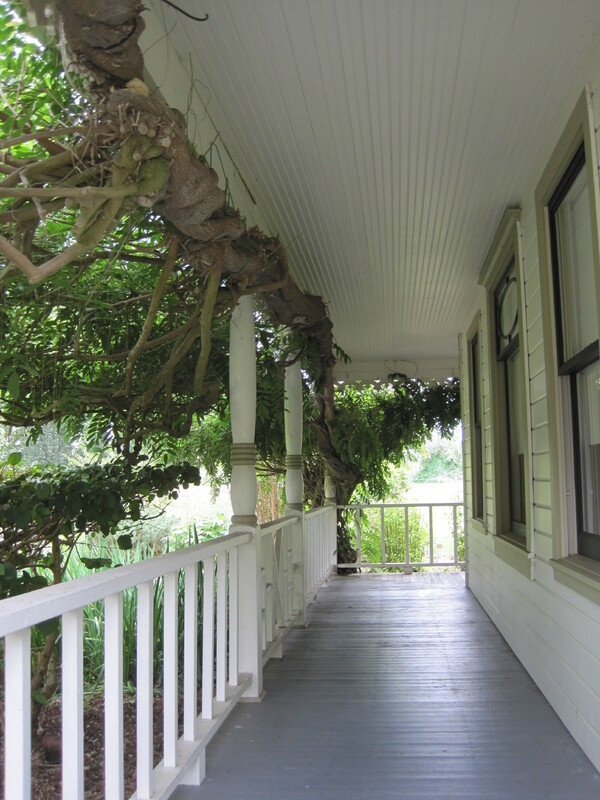 I was impressed by the wisteria tree growing on the front porch. It must be decades old from the size of the branches. This small park is used more for its garden than tours of the house. Published on the back is the schedule of gardening events held here. The backyard is a wonderful small garden with professional signs on what is growing there. 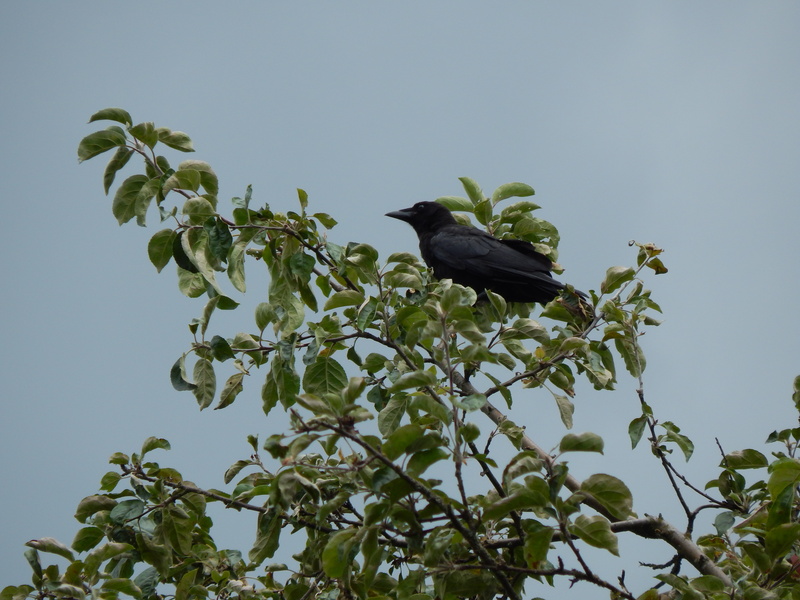 When I got back on the trail I noticed a baby crow flying into the old apple tree that must have been part of the homestead. 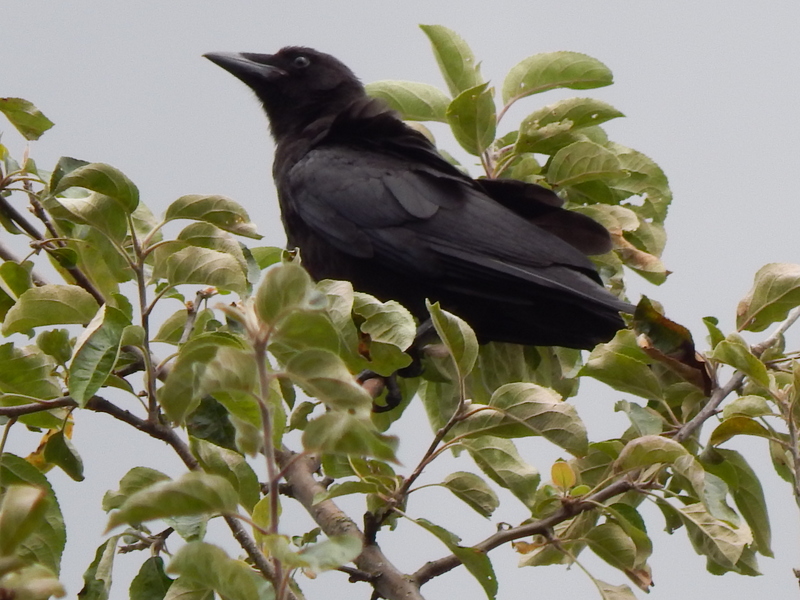 I had heard this juvenile crow up by the Eagle tree and then as I walked down to the old homestead. I am never disappointed and find crows where ever I go. One just has to pay attention and watch out for my black friends. Further down the trail I turned around once I found my last end point. Coming back south the view showed me a bend in the river. 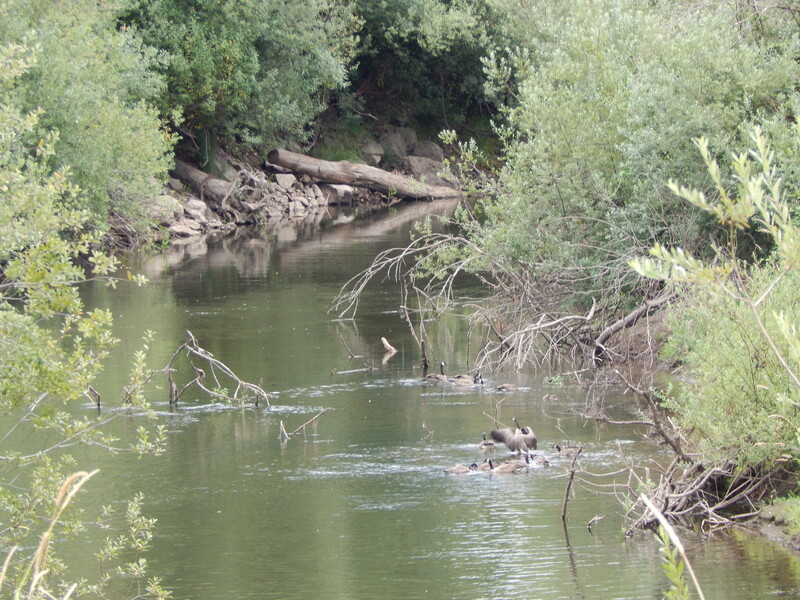 When I put my camera on it, I found a flock of Canadian Geese foraging and enjoying a day at the river. 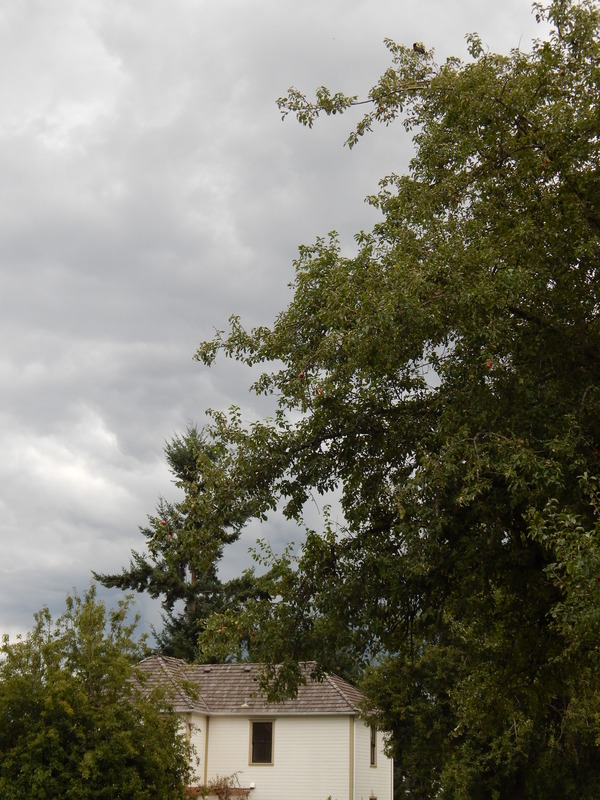 I started a video of the geese but my camera decided it does not like my new SD card. Today I researched what was going on and found out I bought a card that does not have enough speed for my camera’s video. Dang, I will never buy a non-brand name card again. 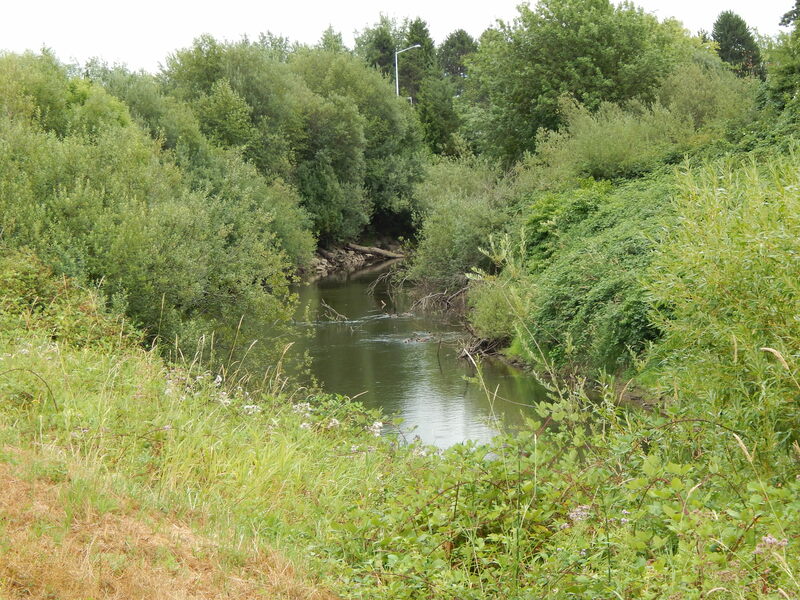 Lastly, here is a pastoral view of the river here in NW Kent. Nature is alive right in the metropolitan area of Seattle.